Very Desirable Plan D model home in Rancho Estates North in Rancho Mirage. This home features over 2,100 square feet, 3 spacious bedrooms, 3 bathrooms, large living room with a cozy fireplace, wet bar, large yard and much more. 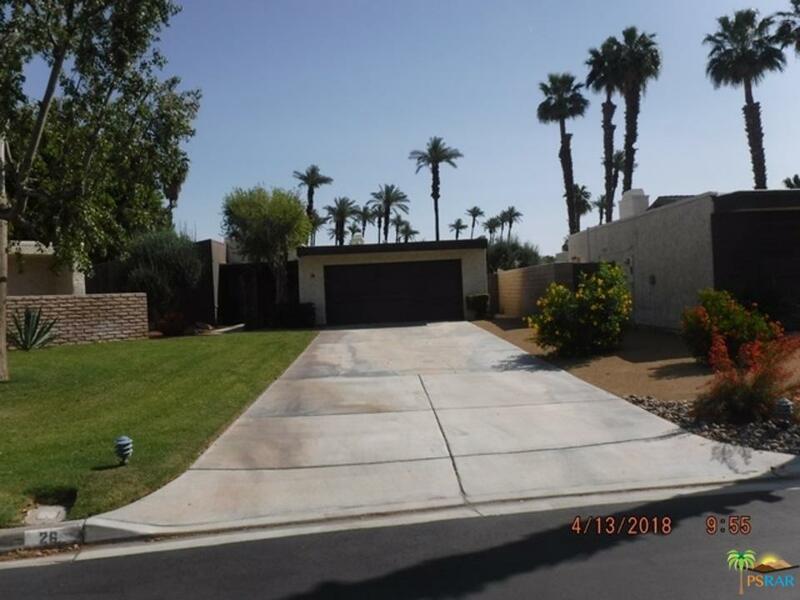 This home needs some TLC and is priced well below market value.Rancho Estates North consists of 28 homes with a community pool/spa, 2 tennis courts, gated, and your front yard is maintenance is included in the HOA.This home has it all-The PERFECT home-The PERFECT location-the PERFECT price.